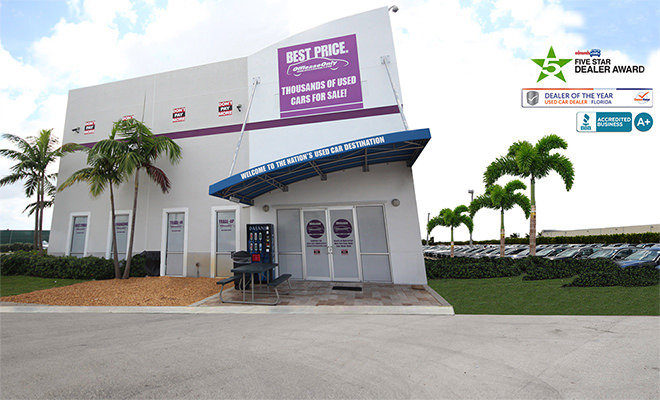 Used cars buyers travel from all over the Country to take advantage of the lowest OffLeaseOnly used car prices in the Nation! Out of State car shoppers simply say that the OffLeaseOnly used car prices are far lower than their local used car dealerships and not to think twice about car shopping there because the low prices are real! Off Lease Only has local hotel partnerships and even a corporate partnership with Enterprise rent-a-car that help make the travel even more cost effective. Let’s face it, traveling to Florida to buy your next used car can be a blast if you plan it right! For instance, do you love nightlife? 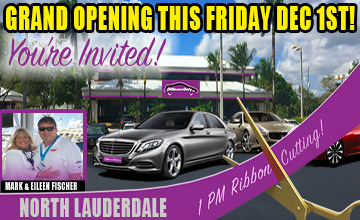 Then fly into Miami and stay the weekend in South Beach with the top down on your new convertible! Or bring the kids to Disney or Universal Studios while purchasing your next used car from our Orlando location. Prefer mellower scene full of fine dining and pristine beaches? Fly into Palm Beach International and enjoy the sites and scenes that Palm Beach is famous for. There are so many reasons why out of state car shoppers decide to travel a little to save a LOT buying their dream car from OffLeaseOnly. Don’t delay! Inquire with our Out of State Sales Department Today! To further assist customers in their car buying experience, Off Lease Only has launched a NEW Off Lease Only Reviews Site which aggregates reviews from Yelp, Google, Edmunds, Cars.com, DealerRater and OffLeaseOnly in one convenient location. The purpose of the site is to make it even easier for customers to find out what it’s like to buy an OffLeaseOnly Used Car. Experience the excellent OffLeaseOnly customer service standard that has won our company national recognition! 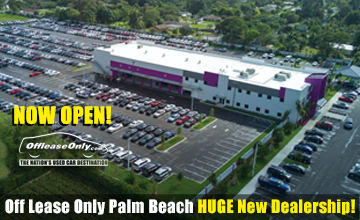 Simply click the banner below for driving directions to the Off Lease Only Location nearest you. 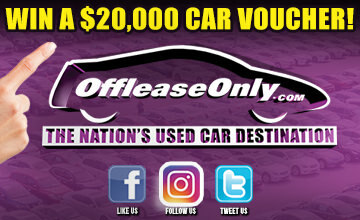 ← Previous Story OffLeaseOnly No Hidden Fees on Used Cars for Sale!